Dream is a part of human which keeps his hopes alive and few months ago I was tagged in one of the most beautiful resorts in Pakistan by my dear friend Tariq Sulaiman. 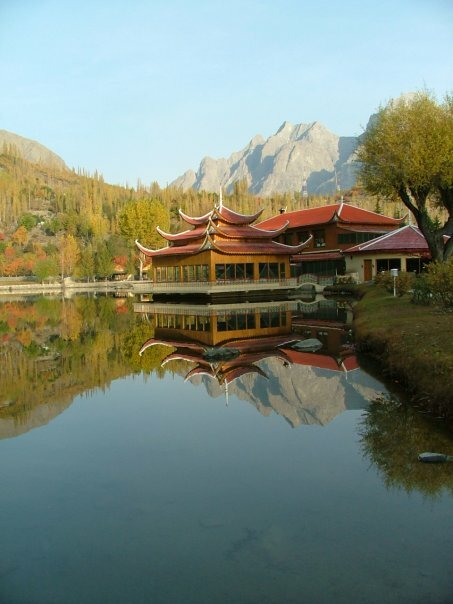 Surrounded by the mystic mountains and lake , hidden in the serene valley's was the Shangrila resorts in Skardu. The enchanting beauty of this mystic place captured my heart and soul and made me dwell in this serene beauty where nature and leisure have blended into perfection. Arif Aslam Khan the chairman of Shangrils Resorts, who's also a dear friend of mine was kind enough to tour me around this enchanting place from pictures and perfect descriptions which even though I haven't been to this magical place in Pakistan I felt I was already there. I was able to picture the amazing beauty of Shangrila , where most local calls '' Heaven on earth '', and how perfect the name fits this resort. Shangrila was founded in 1983 by by the late Brig. (Retd) Muhammad Aslam Khan, the first commander of the Northern Scouts who liberated the Northern areas in 1948 and presently expanding it's wings in the hotel industry. Shangrila has hosted many international and local conferences and meetings and also it's a famous getaway for most prestigious people in the world. Snow covered mountains in the far end with it's highest peaks reaching the skies and covered with the pure shield of white mist gives the resort a unique beauty of it's own. 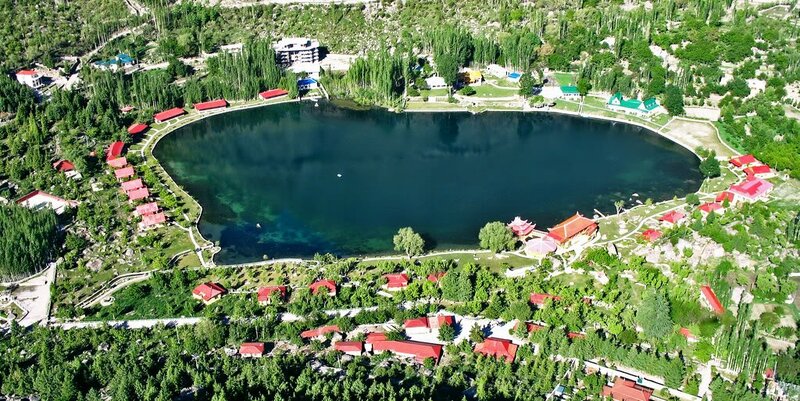 The heart shaped lake give glamour and coldness to the resort with it's reflecting blue waters add color to the deep green serenity. Pure red and yellow apples vibrant the resort with it's unirristable aroma and for its own unique taste of no other in the world. Surrounded with the most exquisite roses of various colors have add life to this heaven on earth. 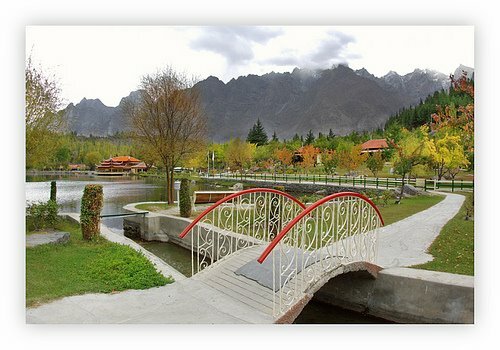 Shangrila is facilitated by it's own air crafts and from Islamabad it will take one hour to reach this paradise and if you prefer to take a long drive on a sunny day you may take the Kakakorum highway ( KKH ) which will reach your destination in less than 20 hours, where still the hardship journey is worth for. 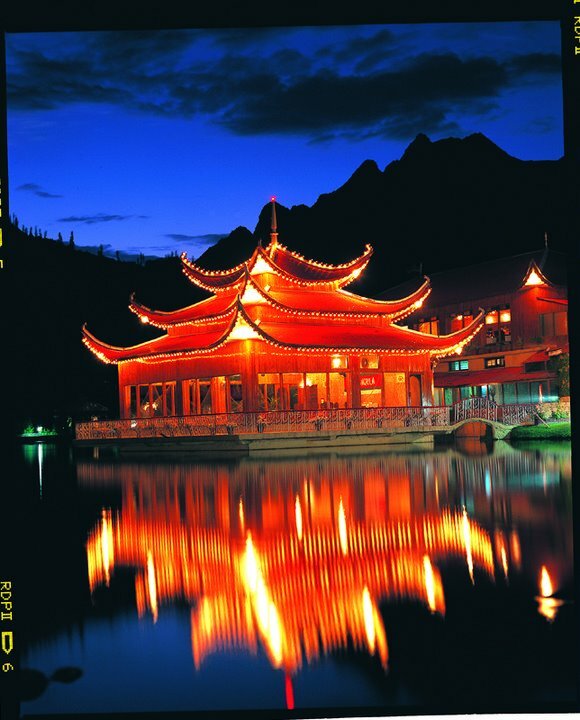 Shangrila is blessed with natural beauty gifted by nature. Lush green valleys and high peaked mountains , natural wild life, with a picaresque lake has made this place a prime destination of every one who needs to enjoy the true beauty of nature. 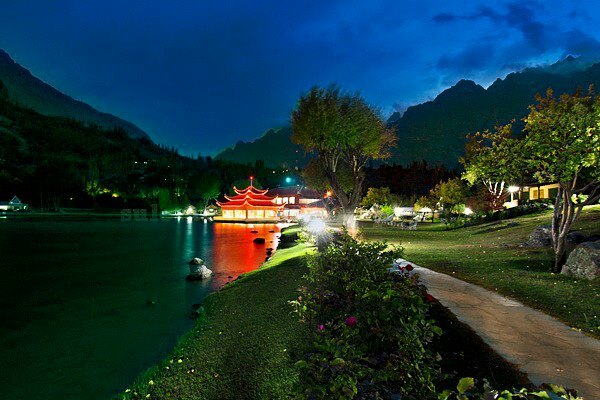 Every picture I saw and all I heard of Shangrila made its my dream holiday destination and very soon I hope to visit this enchanting place in Pakistan - Shangrila Resorts. Thank you for a lovely comment. Yes, i also wish the same as i'm in love with this lovely place and once i visit , i promise you an amazing post . Thank you so much for your lovely words and thank you for being kind enough to show me the beauty of this heaven on earth through your pics .. Thank you for leaving your comments here as it is know that Shangrla is a well known destination for honeymooners .. Thanks for taking us on the virtual trip to Shangrila with you! The journey was really enjoyable and provoked a fondness and curiosity to visit the place actually. I admire your idea and effort!